If you are pregnant and making an adoption plan, you are likely thinking about your upcoming labor, delivery, and hospital stay. One of the things to give some thought and consideration to (that is a big deal for most placing Moms) is whether to have your new baby room in with you during the hospital stay. 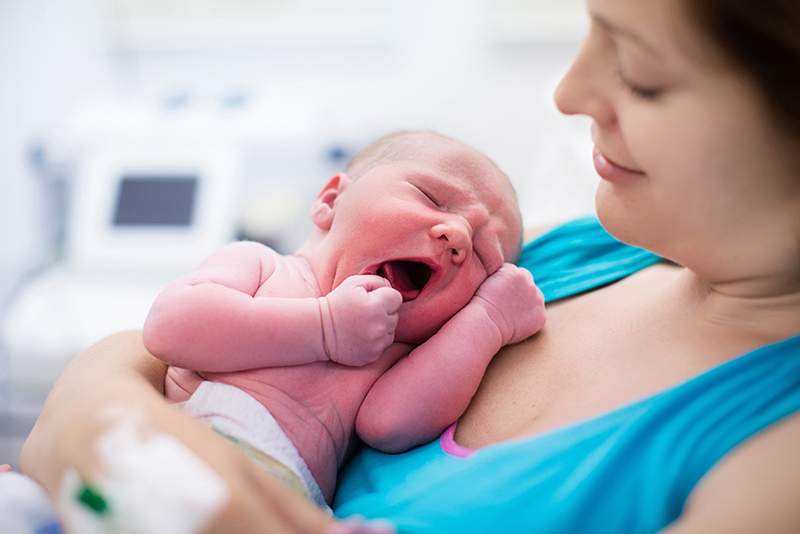 If your baby is born with no complications, is healthy and you also had no complications, are doing well and stable, you typically have the option to have your baby in your hospital room from the time he or she is born until it is time to leave the hospital. If you choose not to take care of your baby yourself, you can have your baby remain in the hospital nursery and be cared for by hospital staff. Some well-meaning people may warn you against having your baby in your hospital room with you. They think you will get too bonded and attached to your baby if you spend time with him or her. As a birthmother I can assure you, you are already bonded to the little person growing inside of you. That bond is already there and established, even though you may not think it’s there or very strong. Personally, I chose to have my son in the room with me as much as possible. I cared for him with the help of his (adoptive) Mom and my then boyfriend. In all honesty, it probably did make the process of saying goodbye more difficult when it was time to for my baby to leave with his (adoptive) parents. Though, that is hard to say with one hundred percent certainty. But what I can say with one hundred percent certainty is I don’t regret a single second I spent with my son in the hospital. I wouldn’t have traded that for anything. In fact, in hindsight, I honestly wish I had less visitors and more alone time with my baby while in the hospital. Over the years, I have had the pleasure of getting to know many birthmoms. We share many of the same experiences, but not all circumstances are the same. There are those birthmoms who spent time with their baby in the hospital, those who weren’t given a choice, and those who chose not to for fear of getting too attached. But for those birthmoms who did spend time with their baby in the hospital, I know they were glad they did. There are also situations where adoptive parents get a room in the hospital near the birthmother so they can room in with their new baby to begin bonding. In some cases, the adoptive parents and placing Mother share this time together. Remember, this is totally your decision. Do what you are most comfortable with and speak up for what you want. I am a big believer in the concept of saying hello before you say goodbye. You need to spend time loving on your baby and getting to know him or her a little bit before you say goodbye or see you later. If you do decide to have your baby room in with you and you become overwhelmed or just need some alone time, you can always send your baby to the hospital nursery to be cared for by the nurses. The decision is yours to make.